Dermalogica Body Treatment combine the powers of touch and heat to deliver skin health and the treatment experience you crave! Eleven new Dermalogica body treatments that include body exfoliation, wraps, targeted treatments for a specific area of the body, and our relaxing Thermal Stamp Therapy, which dates back to 14th century Thai therapy. Much in the way a Dermalogica face treatment is customised with Face Mapping®, your Thermal Body Treatment will begin with Body Mapping®, the zone-by-zone analysis of your body skin. Only through Body Mapping can you receive a treatment that will deliver targeted results. And, Body Mapping will help outline a proper Body Therapy home care regimen to help you maintain the results of your body treatment! There is no doubt that warmth plays a vital role in keeping us comfortable. But heat also helps relax muscles, induce sweating (to assist in toxin elimination), relieve pain and calm the psyche. Through the use of our new Thermal Body Treatment professional products that feel amazing on your skin, your skin therapist will also use exclusive manipulations to create a body temperature that’s more conducive for penetration of essential products ingredients into skin. the same root that is known as green Japanese horseradish (the must-have condiment to sushi), is a warming herb that has anti-inflammatory and anti-microbial properties along with a high Vitamin C content. is another warming root extract that promotes circulation, acts as an anti-inflammatory for soothing the skin and scavenges free radicals while reducing edema. an unfermented tea picked at the most tender stage of growth, is the richest source of antioxidants that has anti-inflammatory properties. Gentle, customised exfoliation that smoothes and brightens skin helps reduce the appearance of sun spots and hyper pigmentation. An intense wrap therapy dedicated to feeding skin with the nourishment it craves for optimal health. Good for dry, premature aging skin, sensitive and irritated skin. An aloe vera gel-based body pack that hydrates and nourishes while soothing and relaxing the body. Cleansing and detoxifying treatment. Stimulate circulation while smoothing skin and promotes all over toning. This treatment address hyper pigmentation and signs of premature ageing on the hands. Its help to prevent discolouration and accelerate brightening, smooth fine dryness lines and defend against further assaults that trigger pigmentation. 3. I'm a BABTAC and CIDESCO fully qualified beauty therapist. I'm a member of British Association of Beauty Therapy and Cosmetology Ltd (BABTAC). I'm trained to very high international standard in hygiene and treatment. Mee, you are a genius. Call me now on 077 4823 7118 to book a Dermalogica Body Treatment appointment. I look forward to meeting you! My house is located in Wandsworth Town and it is within 3 miles radius of Fulham, Chelsea, Kensington, South Kensington, Knightsbridge, Victoria, Pimlico, Battersea, Vauxhall, Clapham, Putney, Wimbledon, SW18, SW1, SW3, SW4, SW5, SW6, SW7, SW8, SW9, SW10, SW11, SW12, SW17, SW19. I serve clients from North, South, East, West and Central London because my house is very well connected via Tube and Bus services. There are many buses pass by the area. Bus no 28, 37, 337, 39, 156, 87 just to name a few. My house is surrounded by train and tube station. The nearest station to us is Wandsworth Town Station which is 5 to 10 minutes walk, Clapham Junction Station is about 15 to 20 minutes walk, Putney Tube station and Earlsfield Station. 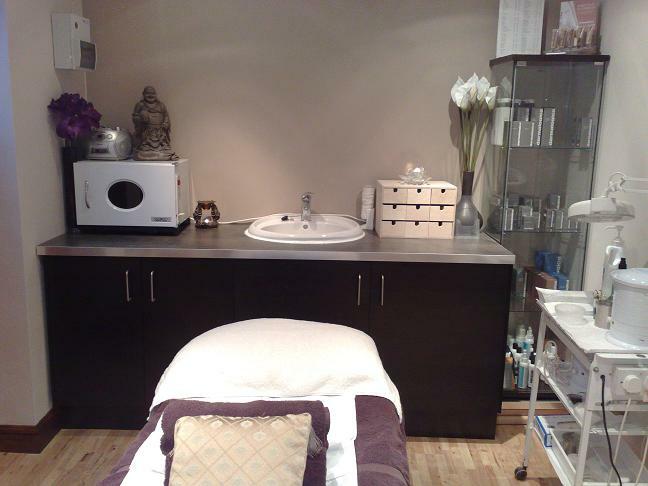 Call 077 4823 7118 to book a body treatment. I look forward to meeting you!